Select Choose file to upload a file from your computer. The file must be of Excel (xls, xlsx) format. Click on Personalize to add a personal touch to the message. You can select the column headings, which are the attributes/details of each contact. Select Say it differently or Upload File to vary your message content. 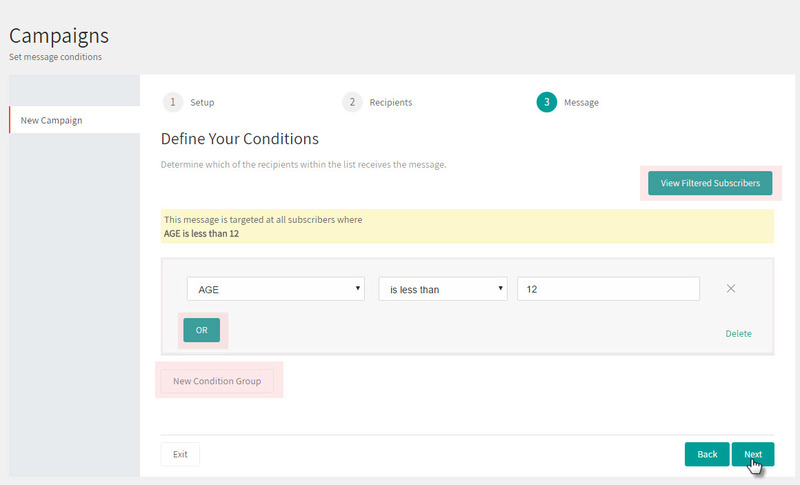 Choose either In Sequence or At Random to specify the order in which your messages send. Set the start and end date. 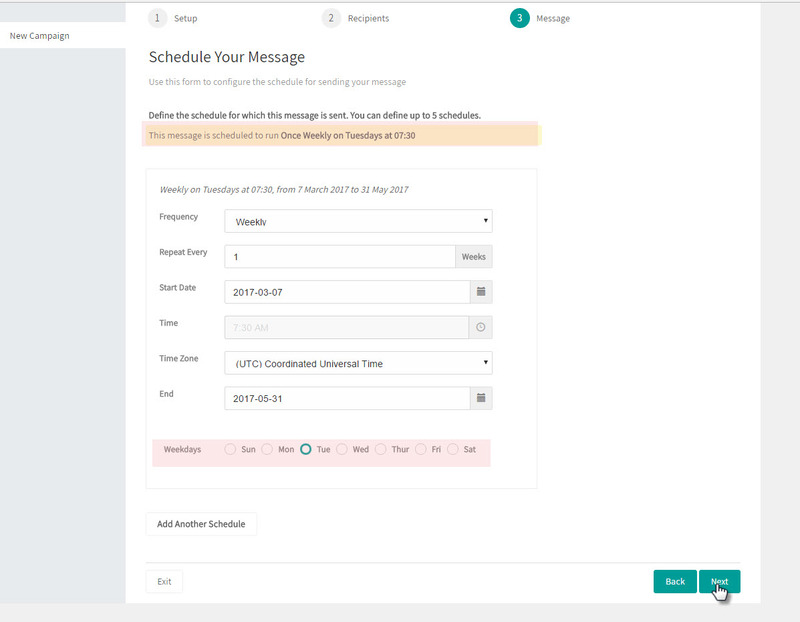 You can set multiple schedules on a single auto message. Select Complete to save campaign. 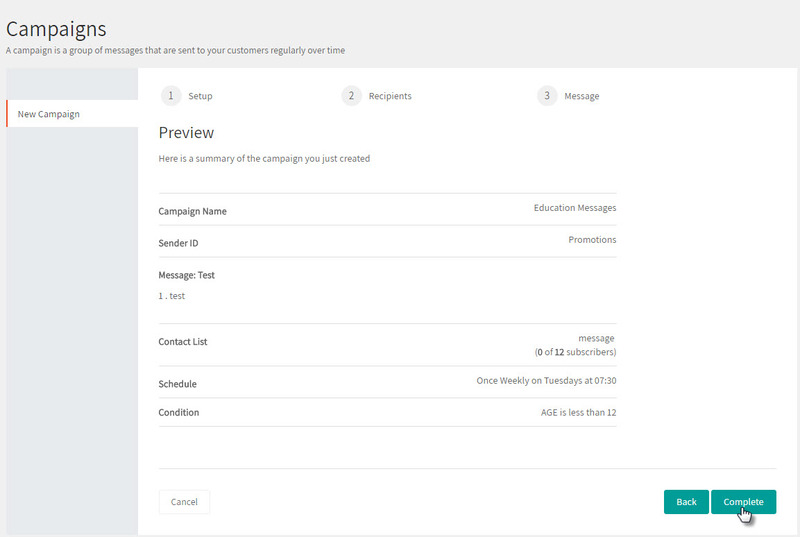 You have successfully created a campaign with a scheduled automated message. 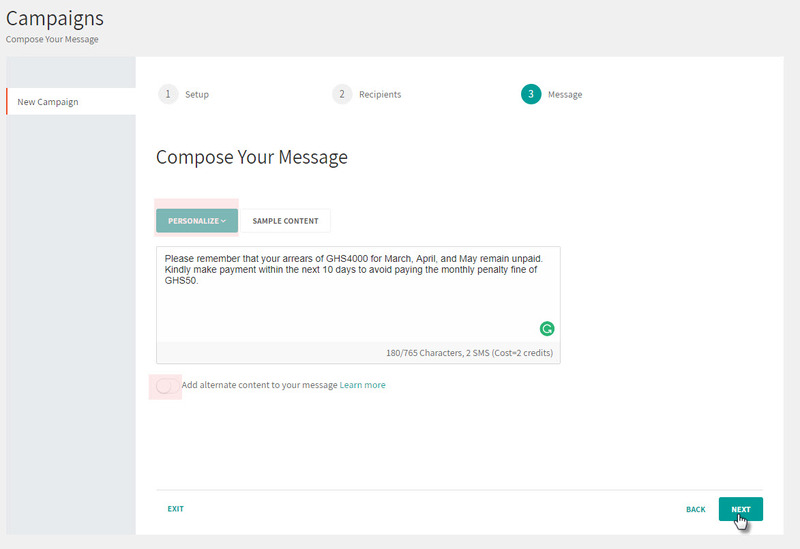 Note: You can add more messages to a campaign even after creating that campaign.